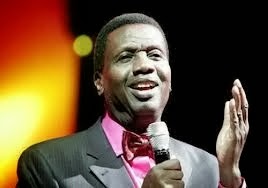 Pastor E.A Adeboye was born on the 2nd of March, 1942 in Ifewara Osun state in Western Nigeria. He is a Prophet, a christian elder statesman and a spiritual Father to many. 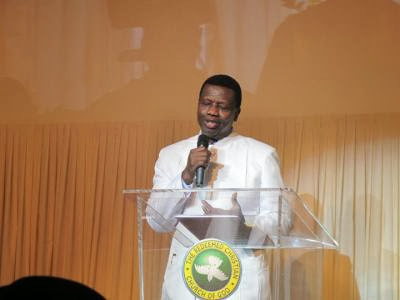 Pastor Adeboye has a PhD in applied mathematics from the University of Lagos, and worked as a lecturer in mathematics at the universities of Lagos and Ilorin; After joining the RCCG, he began working to translate the sermons of its then Pastor and founder, Rev. Josiah Olufemi Akindayomi, from Yoruba into English. In 1981 Adeboye was appointed General Overseer of the church, taking over from Papa Akindayomi, who had died the previous year. For three years he filled the role part-time, still lecturing at Ilorin, until giving up his university position to preach full-time. The church, which was not well known before Adeboye took charge, now claims branches in over a hundred countries, including more than 14,000 in Nigeria. Adeboye has stated that his aim is to put a church within five minutes of every person on Earth. He is the national president of RCF (an interdenominational fellowship in all the campuses in Nigeria). In 2008, Newsweek magazine named Adeboye one of the fifty most powerful people in the world. He is married to Foluke Adeboye, also a pastor, with whom he has children." Happy Birthday to Daddy G.O.